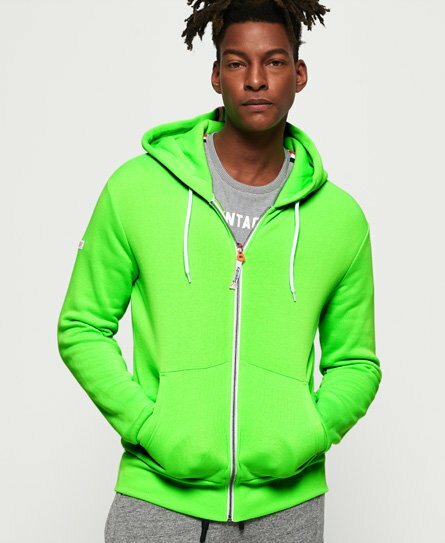 Superdry men's LA Athletics zip hoodie. A wardrobe essential, this zip hoodie features a drawstring hood, a ribbed hem and cuffs and two front pockets. Finished with a logo badge on one sleeve and logo tab on one pocket. layer this hoodie over a t-shirt and jeans for a casual look.